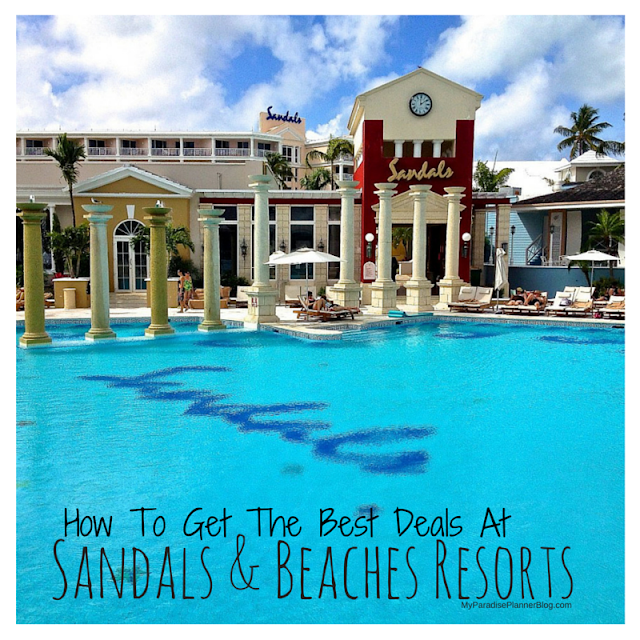 Booking a Sandals or Beaches vacation through us is very simple. We are able to hold a room for you at no charge for up to a week. This allows you to lock in the savings for an extra week after they expire, giving you a little more time to pay the deposit on the room. During that week you can pay your room deposit online through the Sandals online payment center. It's $400 to guarantee the room stays held a week after we book it. That $400 locks in the prices and promotions at the time of booking. If the room price goes up, you are still keeping the better deal you had when you booked it. If the room price goes down, we'll have the lower price matched as long as your final payment hasn't been made yet. Also, the deposits are 100% refundable until final payment is made. Final payment is due 45 days prior to check-in. A lot of guests assume you have to book the air with the room to get the Sandals & Beaches air credit, but you don't! The air credit is taken out of the room price already so if you aren't ready to pay all that money to book the $400 room deposit plus the full airfare, hold the room and lock in the great deals and then we can add the airfare for you later. The first is that rates for flights are not guaranteed until purchased in full, so prices are subject to (and are likely to) change at anytime. We encourage you to book it as soon as you find rates you are comfortable paying and have the money to pay it in full. The second is that airfare is non-refundable so don't book it unless you are 100% sure you'll be taking the trip. Its always a good idea to add on the additional trip protection coverage. It's only $99 per person and when you pay for it in full with your room deposit you'll also get the additional "Cancel For Any Reason" protection. The perks of having a certified Sandals & Beaches specialist like our agents on your booking can make all the difference. The best part is, when you need something you will be dealing with the same specialist instead of calling the main phone line and getting a different person every time. Our specialists are experts at Sandals and Beaches and have many contacts within the resorts parent company and on the resort properties. We also know the best ways to make sure you are getting the most for your money. Working with one of our specialists costs you nothing extra, so make your life a little easier and contact us to book. (If you've already booked directly with Sandals or Beaches and still want our help, contact us on how to add us to your booking). Contact Us To Lock In These Deals Today!